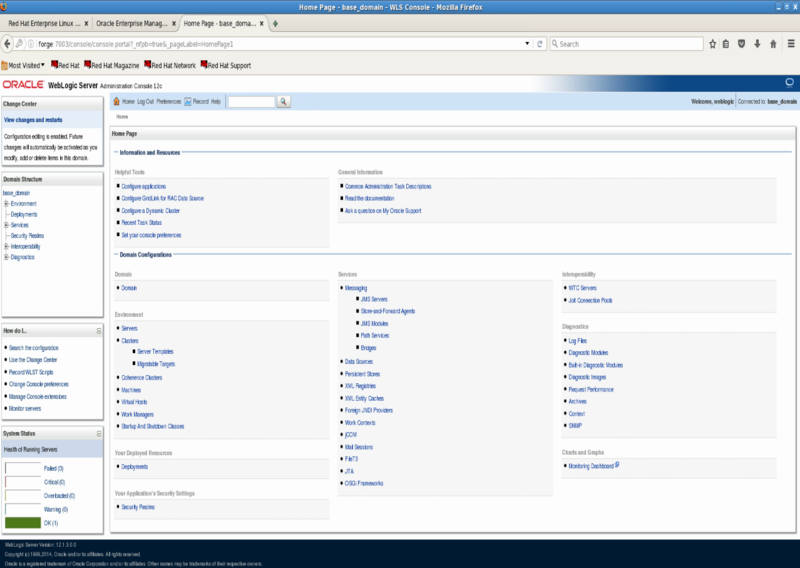 A WebLogic domain is a collection of WebLogic Server resources. 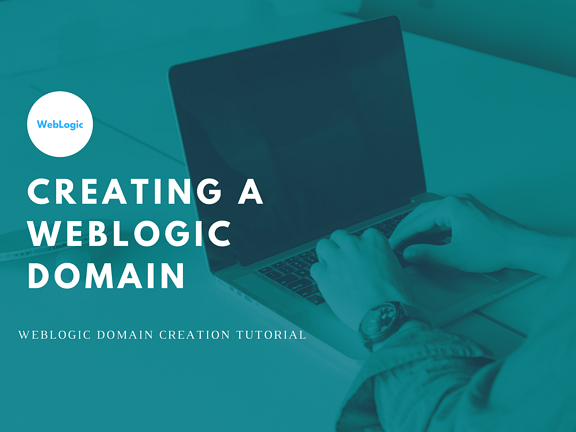 Although you can create a domain when WebLogic is installed, there may be instances where you wish to create a new domain after WebLogic installation. 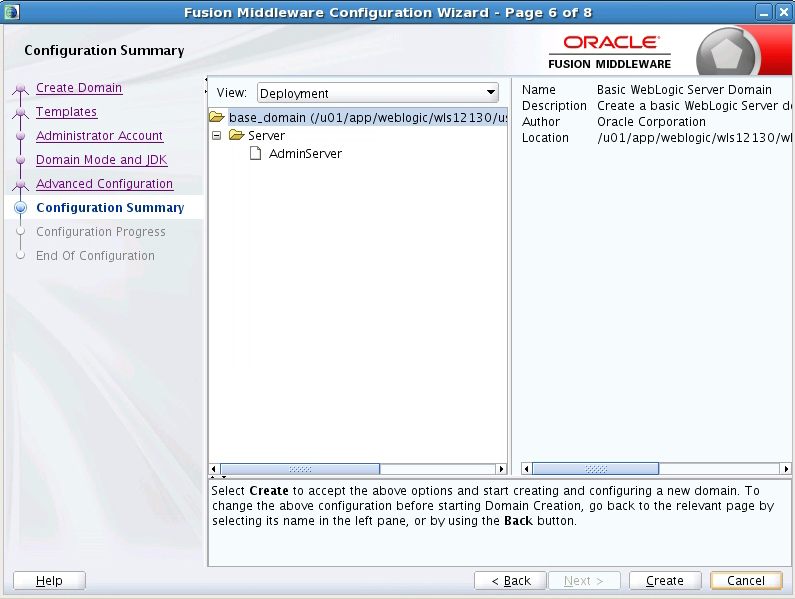 This article details how to create a new WebLogic domain. Where $MW_HOME is the middleware home established during WebLogic installation. 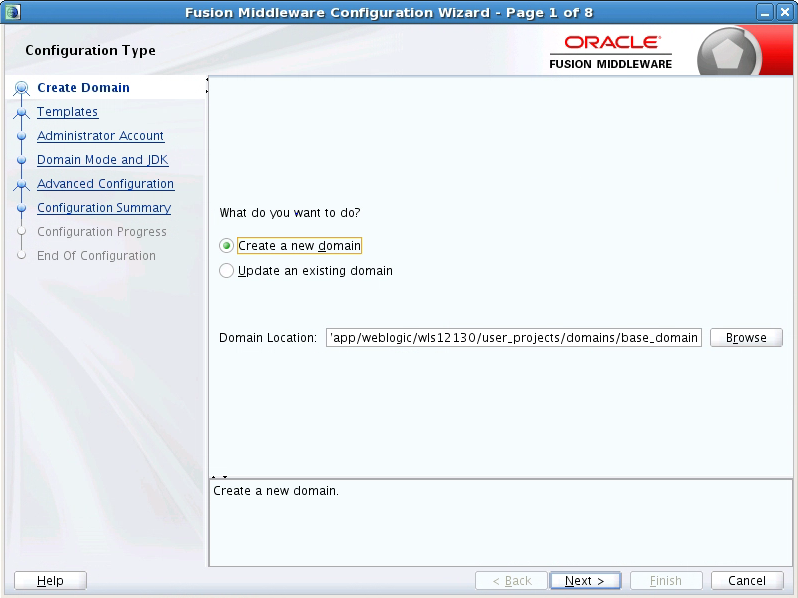 Select “Create a new domain”. Select a name and location for the domain. For a basic installation, just select the “Basic WebLogic Server Domain …” option. The Administrator Account Screen displays. 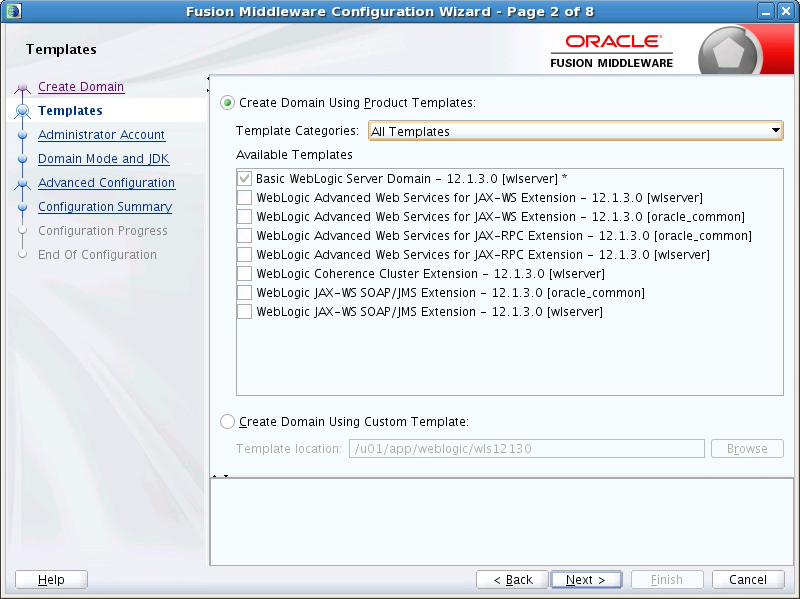 Select your username – weblogic by default. Select and confirm a password. 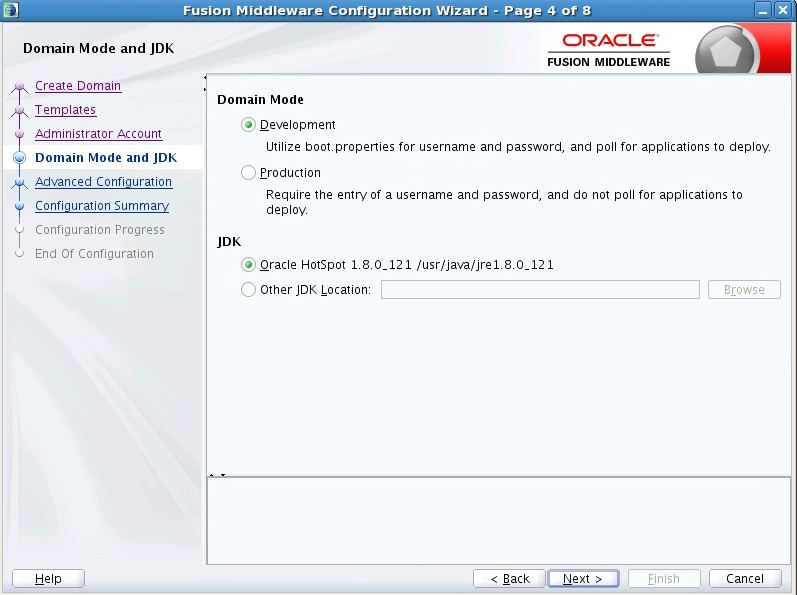 The Domain Mode and JDK Screen displays. Select the Domain Mode. Development mode is selected in this example. Select the JDK that you wish to use. The Advanced Configuration Screen displays. Check any of the three components that you wish to configure at this time. All are left unchecked in this example. The Configuration Summary Screen displays. 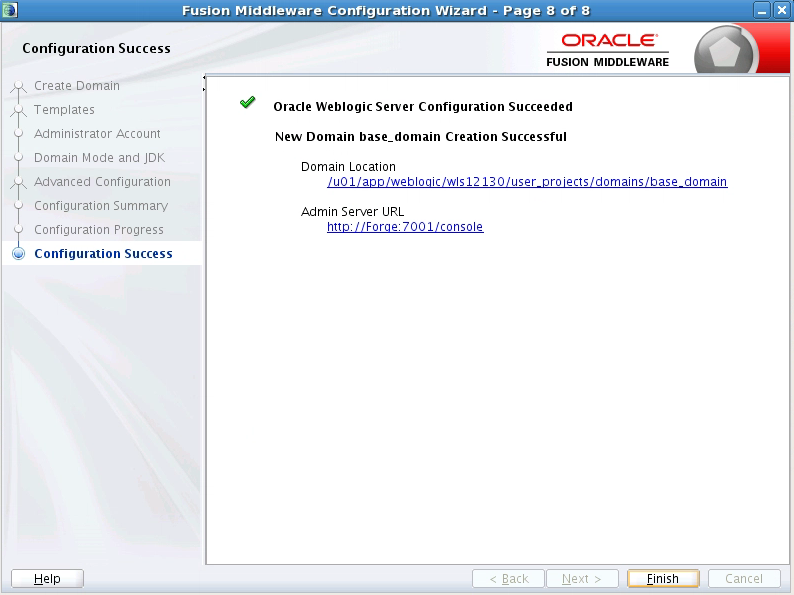 The Configuration Success Screen displays. Your domain has now been created. You can use your new domain. Start the administration server that was just created. At this point, WebLogic is ready to use.